Rebecca Boartfield is a Human Resources and Employment Compliance Consultant with Bent Ericksen & Associates, a national Human Resources and Employment Compliance Consulting firm. 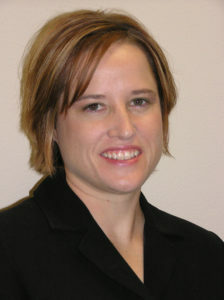 An HR professional for more than 15 years, Rebecca’s specialty is employment compliance and human resources management. She has worked in a variety of management and consulting capacities, including speaking, presenting and training. Rebecca co-authors a column in Dental Economics entitled “Staff Issues” and contributes to the online forums for Dental Town, LVI Global, and the American Association of Dental Office Managers (AADOM). She is also a regular contributing author to the Trojan Professional Services newsletter, Trojan Today. Rebecca holds a Senior Certified Professional designation from the Society for Human Resources Management (SHRM).